Tung Ting Oolong Tea is grown on Tung Ting Mountain at 740 meters elevation. Where the hills are fog and cloud shrouded each morning and late afternoon. 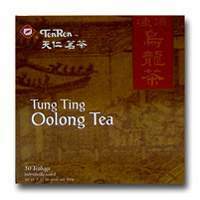 Tung Ting Tea is known by connoisseurs as the world's finest semi-fermented tea.